To fully leverage all the glorious goodness in your vegetables – be sure to eat them along with some form of healthy fat. Fat improves their flavor and mouthfeel, but most importantly serves as a vehicle for transporting their fat-soluble phytochemicals called carotenoids, from the digestive tract into the bloodstream. Carotenoids are one of the most revered healthy agents in veggies providing powerful cancer protection, cardiovascular protection, and wrinkle-prevention. For goodness sake – do not miss out on all of the carotenoids in your salads by using a fat-free dressing! 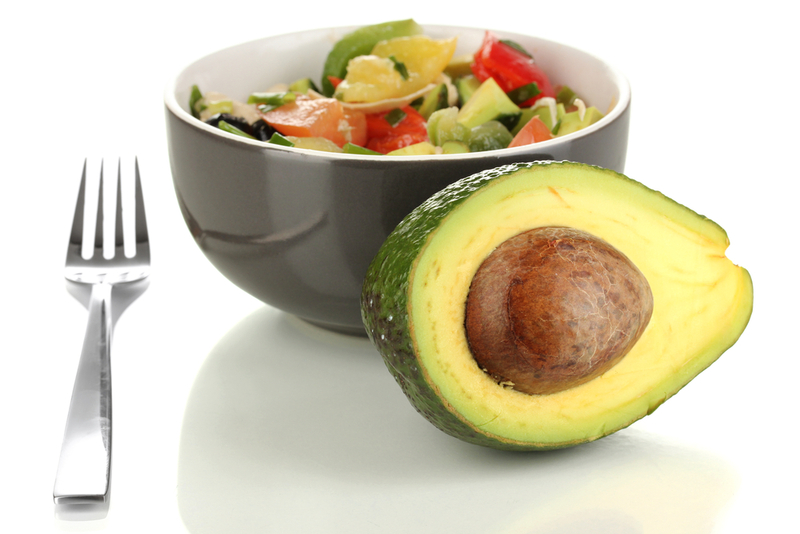 The healthiest fats to pair with your veggies are extra virgin olive oil, nuts, seeds, and avocados. This quick and easy “gourmet” wrap hosts a luscious array of flavors, textures and nutritional oomph that is sure to please your child’s taste buds and their growing body. Mash the avocado and beans together in a bowl. Stir the cheese and lime juice into the avocado and bean mix. Spread 1/4 of the mixture onto the center portion of a tortilla and top with 2/3 cup of cabbage. Lightly douse the cabbage with the seasoned rice vinegar. Add 1/4 of the chicken strips on top of cabbage. Roll up the tortilla so the ends are folded in and secured. Repeat with the rest of the tortillas. Wrap the tortillas in foil for safe and easy transport. 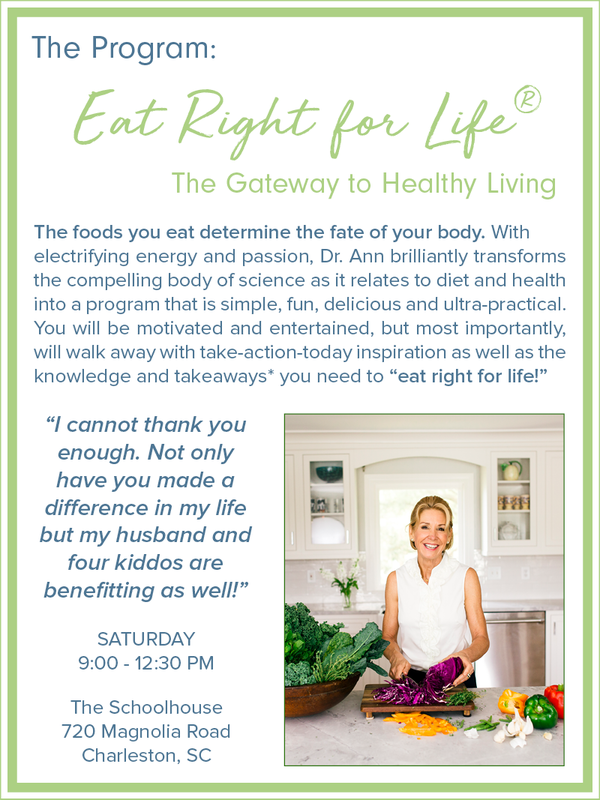 Join us on Saturday, June 2nd for a half-day wellness seminar at The Schoolhouse! 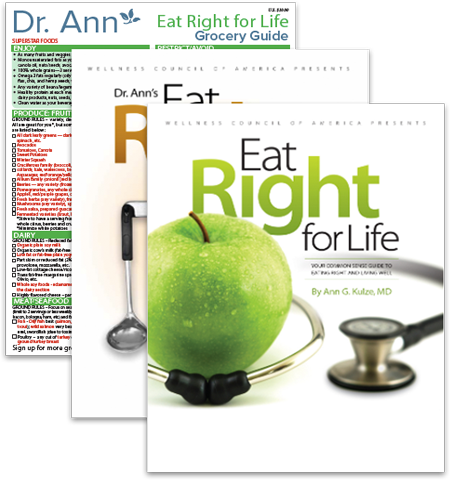 Purchase Dr. Ann’s Book Combo and we’ll include a FREE, laminated Dr. Ann Grocery Guide ($10 value) in your order!